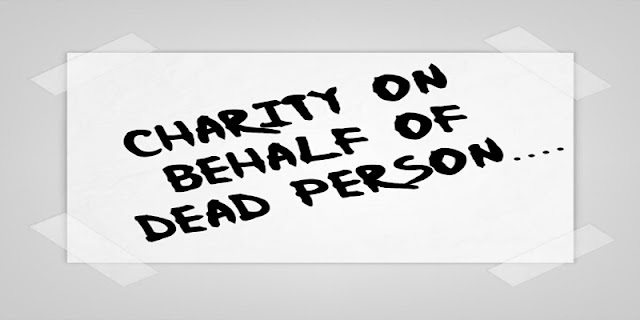 Home / Rulings / CHARITY ON BEHALF OF A DECEASED PERSON. CHARITY ON BEHALF OF A DECEASED PERSON. Nothing reaches the deceased except the benefit of the dua, praying for his forgiveness, giving charity on his behalf and Hajj. With regard to charity, it was narrated in al-Saheehayn from ‘Aa’ishah that a man said to the Prophet (peace and blessings of Allaah be upon him): “My mother died suddenly and she did not leave a will, but I think that if she could have spoken she would have given in charity. Will she have a reward if I give in charity on her behalf?” The Prophet (peace and blessings of Allaah be upon him) said: “Yes.” Narrated by al-Bukhaari, no. 1388; Muslim, no. 1004. And it was narrated by al-Bukhaari from Sa’d ibn ‘Ubaadah that his mother died when he was absent, and he said: “O Messenger of Allaah, my mother has died when I was absent. Will it benefit her if I give in charity on her behalf?” He said: “Yes.” He said: “I ask you to bear witness that my garden that bears fruit is given in charity on her behalf.” Narrated by al-Bukhaari, 2756. With regard to Hajj, the Prophet (peace and blessings of Allaah be upon him) said to one who asked him about Hajj: “Don’t you think that if your mother had a debt, you would pay it off for her?” She said: “Yes.” He said: “A debt owed to Allaah is more deserving of being paid off.” Narrated by al-Bukhaari, 6699; Muslim, 1148. From all above evidences we come to know that an act of charity on behalf of the deceased will indeed benefit him and the rewards will reach him too. However there is no difference between the opinion of the scholars concerning the charity being given on the behalf of the dead. Who ever wants to honour the deceased especially his parents must guve in charity on his behalf in order to benefit him and there is no difference of opinion among the Muslims concerning this point. This is the correct view. With regard to reports by some scholars that no rewards reach the dead, this should be paid no attention to as it is clearly worng to say so in light of quran and Sunnah. With regard to fasting and praying on behalf of dead, the majority of scholars are of the opinion that it is wrong and the rewards of such acts does not reach him, unless it is a fast that was obligatory for the deceased, so his heir or someone to whom the heir gives permission makes it up on his behalf. Two views concerning this were narrated from al-Shaafa’i, the better known of which is that it is not valid; the more correct view according to the later Shaafa’i scholars is that it is valid. With regard to reading Qur’aan, the well-known view of the Shaafa’i madhhab is that the reward for that does not reach the deceased. Some of his companions said that its reward does reach the deceased. Some of the scholars were of the view that the reward of all acts of worship – prayer, fasting, reading Qur’aan, etc – reaches the deceased… Then al-Nawawi mentioned that the reward for du’aa’, charity and Hajj reaches the deceased, according to scholarly consensus. The deceased can benefit from charity given on his behalf, which includes a waqf of a Mus-haf etc, or digging a well, or planting a tree, whether he does that during his lifetime or it is done by someone else on his behalf after his death. With regard to charity, the best things on which charity may be spent are jihad for the sake of Allaah, building mosques, and helping seekers of knowledge by printing books for them or giving them money that they need. And Allaah knows best.